Aspartame is an artificial sweetener used as a sugar substitute in foods and beverages without adding excess calories. People often consume products with aspartame in an effort to maintain or lose weight. The reason for aspartame poisoning is that it dissolves into solution, travels throughout the body and deposits within tissues. Unlike saccharin, the body digests aspartame. The digestive and absorption process results in aspartame accumulating in our bodies resulting in health problems. The effects of aspartame are far reaching and negatively impact many organ systems and structures, causing a diminished level of functioning and enjoyment of life. Ear Symptoms. Tinnitus or buzzing in the ear is a common symptom of aspartame poisoning. Intolerance to noises and notable hearing loss can also occur. Eye Symptoms. Aspartame can cause decreased vision, particularly night vision, blurring, tunnel vision and eye pain. People will also note decreased tears, trouble wearing contact lenses and even bulging eyes. Chest Symptoms. Breathlessness, elevated blood pressure and skipped or racing heartbeat are all symptoms of aspartame toxicity. Gastrointestinal Symptoms. People often experience an upset stomach, diarrhea (possibly bloody), abdominal pain and painful swallowing when using aspartame as a sweetener. Skin and Allergies. Hives and intense itching, lip or mouth swelling and worsening of asthma all can occur due to aspartame. Metabolism and hormones are the cornerstone of our body's production of energy and ability to regulate itself. We produce a variety of hormones that regulate our overall health and wellness. Diabetes control and increased weight are side effects of aspartame use. Others report hair loss, menstrual irregularity and severe premenstrual syndrome. Some may note marked weight loss and problems with low blood sugar. The nervous system is a very delicate machine and very sensitive to minor amounts of toxins. Aspartame negatively impacts brain function and can trigger or mimic many serious disease processes. 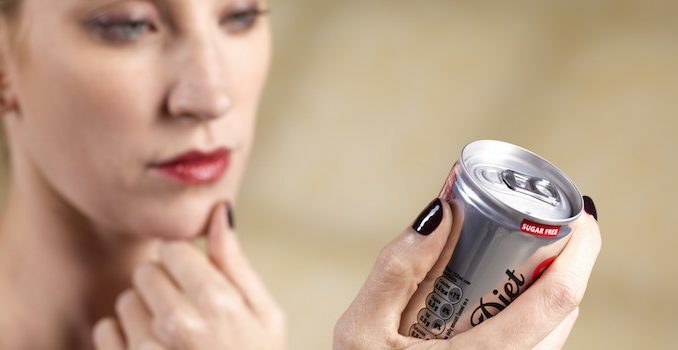 Aspartame can cause or trigger the following neurologic conditions: memory loss, confusion, migraine, dizziness and unsteadiness, seizures, sever speech slurring, and chronic fatigue syndrome. Serious psychiatric problems are known to occur due to aspartame and include aggressive or suicidal behaviors, severe depression, birth defects and severe cognitive problems in the baby, anxiety, insomnia, phobias and irritability. The health dangers of aspartame are widespread and can affect multiple body systems. Additional health dangers include: persistent craving for sweets, aspartame addiction, irreversible brain injury and cognitive impairment, stomach ulcers, birth defects, hyperactive behavior in children, aggression, severe depression and suicide attempt and ultimately death. Scientists and anecdotal patient reports continue to show the global negative effects on the human body. Aspartame poisoning triggers many subtle diseases. Even under the best conditions and in the hands of the skilled physicians, these conditions are difficult to detect. Diseases such as ALS, multiple sclerosis, Lupus, post-polio syndrome and Lyme disease can all be triggered by aspartame. Other problems such as Meniere's disease, non-Hodgkin's lymphoma, thyroid disorders and Alzheimer's disease can all result from aspartame. What we eat in our diet has a direct role in the development of many health conditions. In most cases, aspartame poisoning resolves if the individual simply stops using sweetener-containing products. Cut out products like low calorie pudding, diet sodas, and gelatin mixes, and any powdered drink mix containing aspartame. Even some dried fruits and cereals contain aspartame. Reading food labels and avoiding aspartame can literally be a life changing activity. Detoxifying your body from the ill effects of aspartame is a powerful method to reverse any symptom related to using this artificial sweetener. Over 92 different signs and symptoms are attributed to aspartame. The detoxification program is the most effective way to remove the toxins produced from aspartame such as phenylalanine, aspartic acid and methanol and their damaging by-products. This 9 step program is easy to implement and will improve symptoms in 30 days.